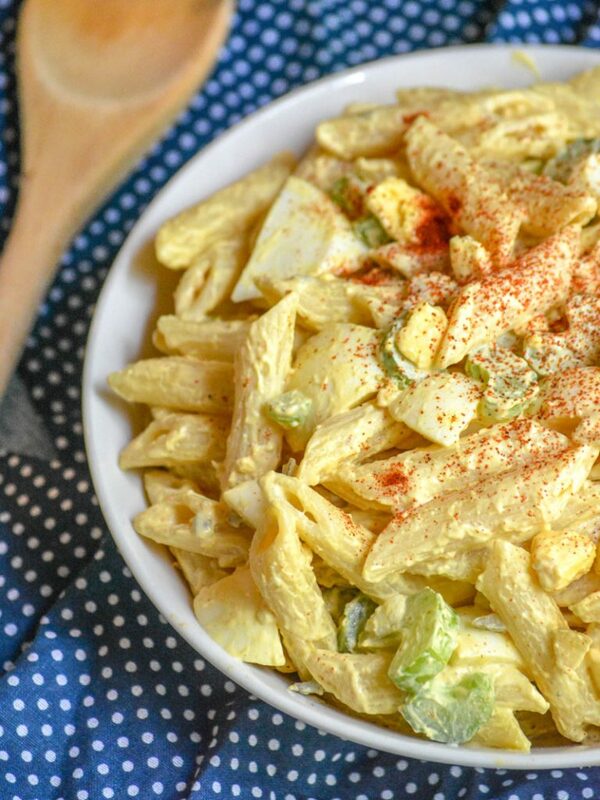 Everyone’s favorite hard boiled egg appetizer meets creamy pasta salad in this fun combo of Deviled Egg Pasta Salad. It’s the best dish, bound for your next barbecue- and it’s epic. 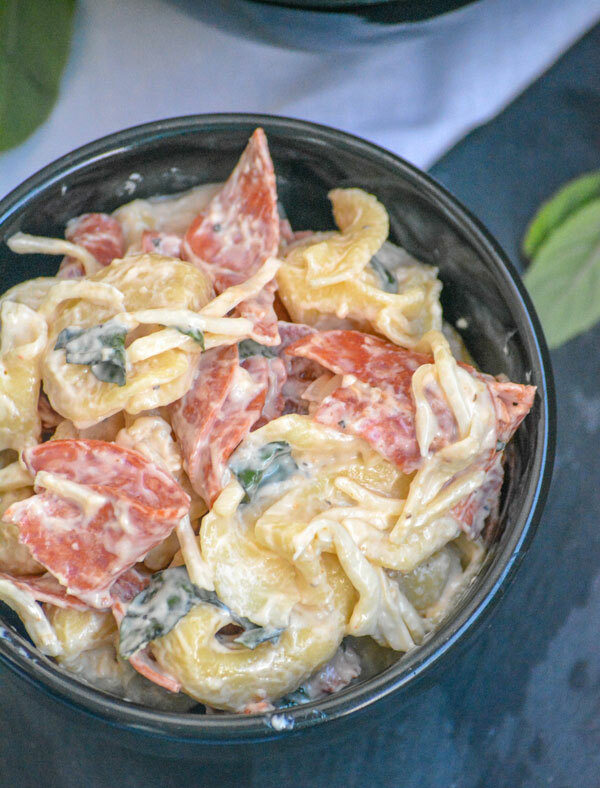 It’s quick and easy, it’s creamy pasta Heaven. 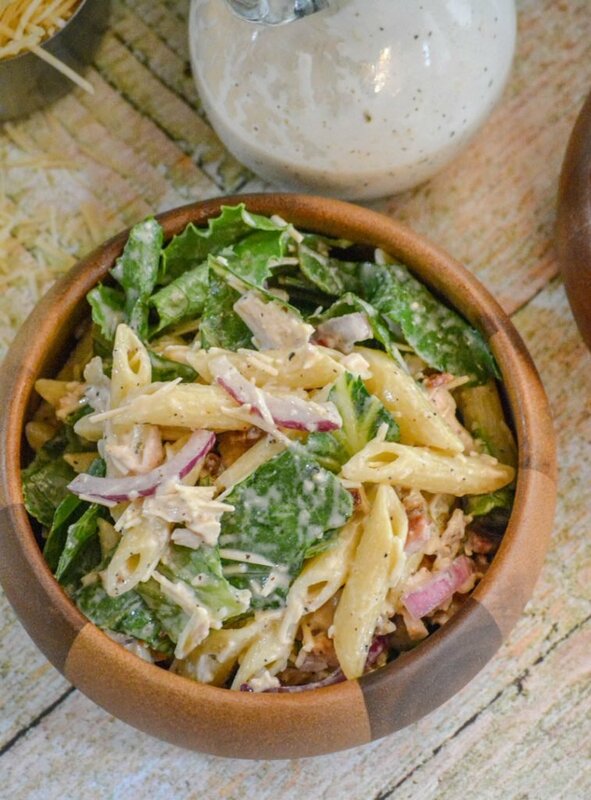 Studded with crispy crackles of bacon, chunks of tender juicy chicken, and bound together with a thick Caesar dressing- it’s a full meal that masquerades as a hot pasta salad. 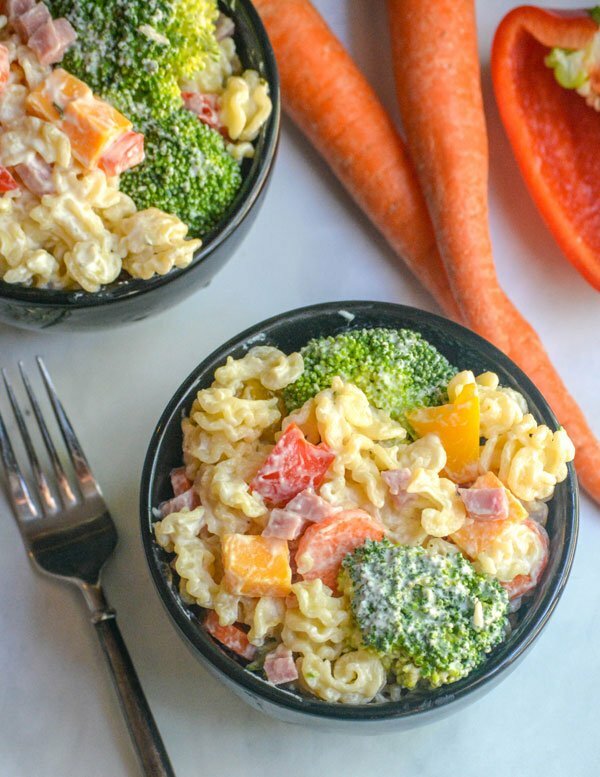 A perfect summer salad, this Ranch Pasta Salad is chock full of fresh vegetables. 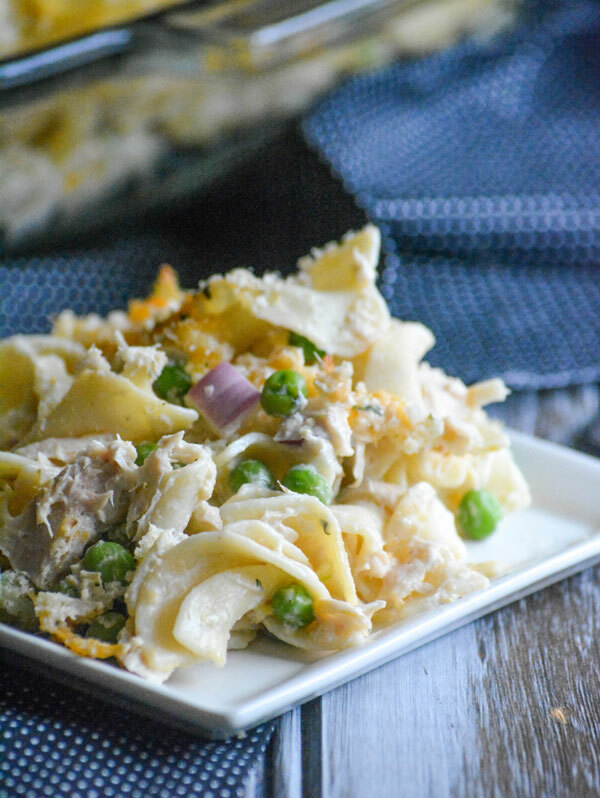 It’s a fan favorite at any barbecue or neighborhood gathering, and it doubles as a hearty warm-weather lunch or a light vegetarian supper. 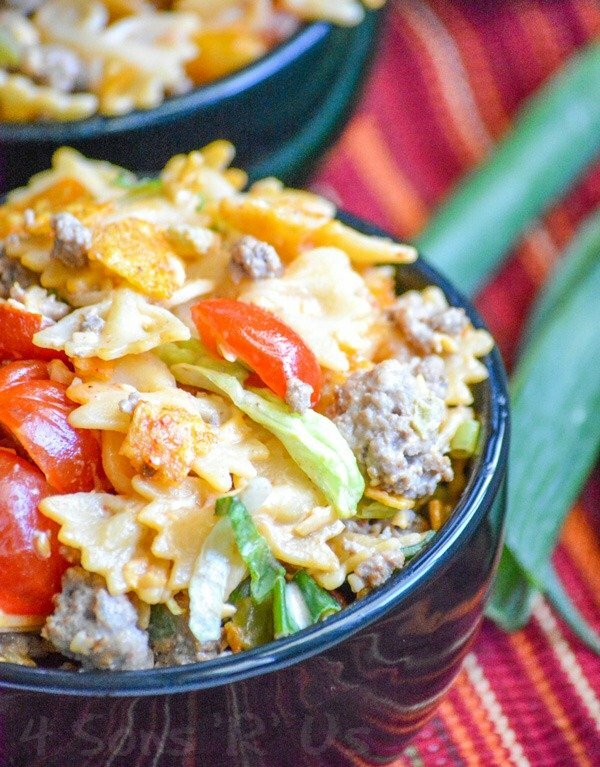 Don’t you just love a good pasta salad? They just seem so summery to me. Whether as a light side with dinner, or as a lunch. My favorite though are the heartier versions where I can dump everything in, give it a good solid stir, and after it’s cold… voila! Dinner is served. 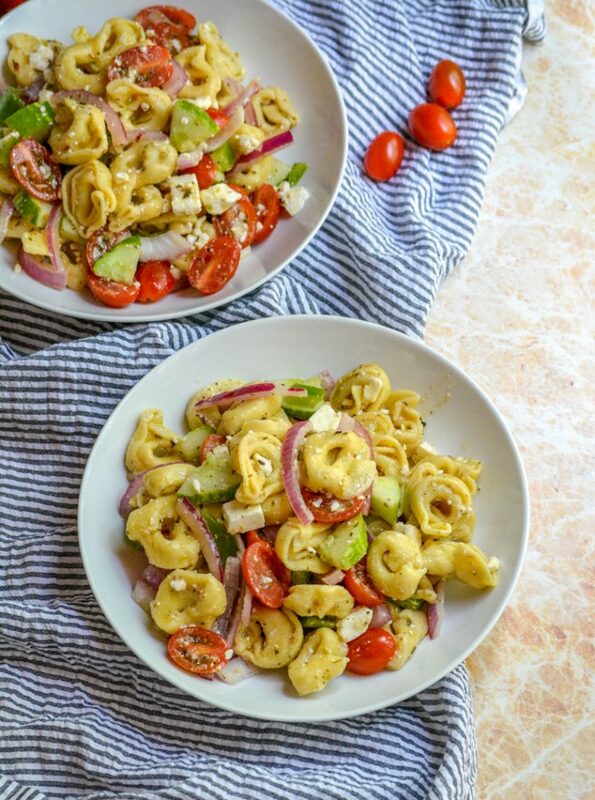 Pasta salad literally provides endless possibilities for new flavor combinations and ingredients. It makes me so happy, like kid on Christmas morning happy. 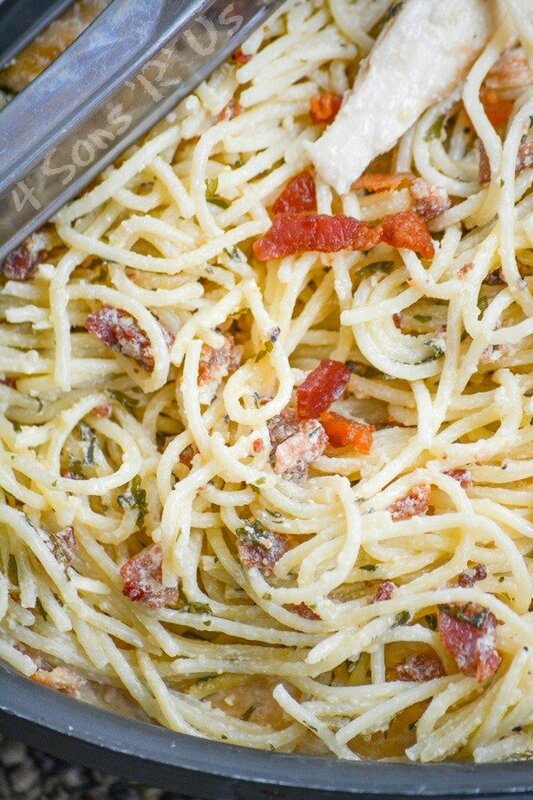 This particular pasta is one of my personal favorites. It also happens to include one of our favorite ways to season/prepare chicken. It’s so simple too! Generously season your chicken breasts with taco or fajita seasoning, and then bake them for 30 minutes at 350 degrees, or until cooked through. 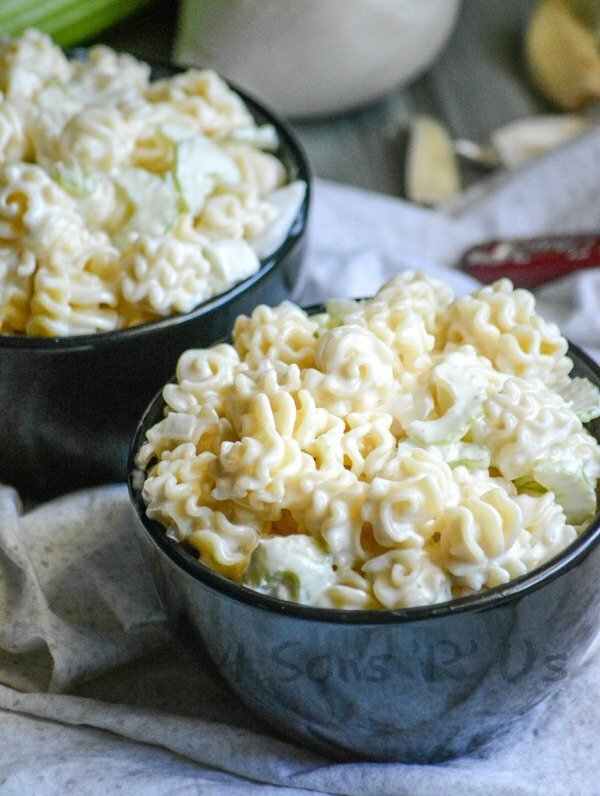 While having some on hand does give me an extra excuse to whip up one of our favorite pasta salads, we just genuinely like it that much. I love to dice it up and toss it in with some lettuce to make a nice hearty salad. The hubs uses it to make his own little protein packs to take to work. 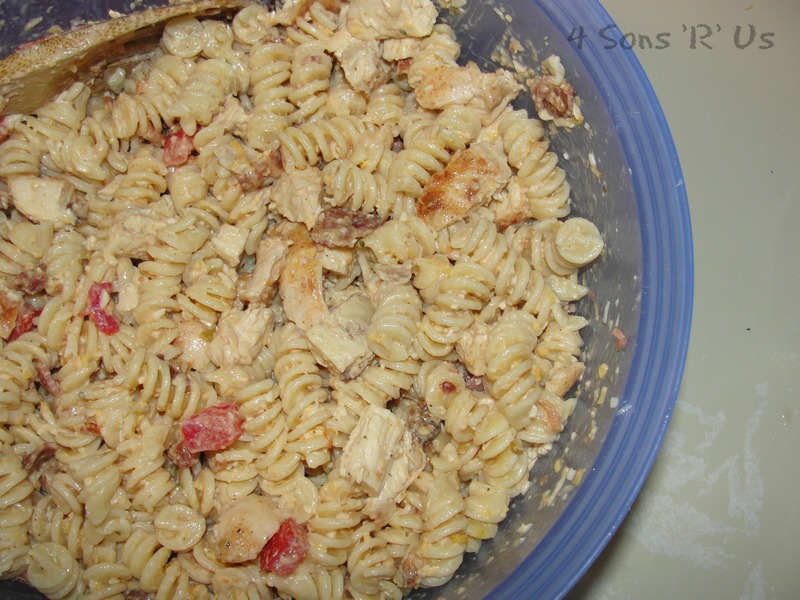 For the pasta salad though, you can make it all at once, or cook your chicken as much as a couple days ahead of time and have it ready to go. 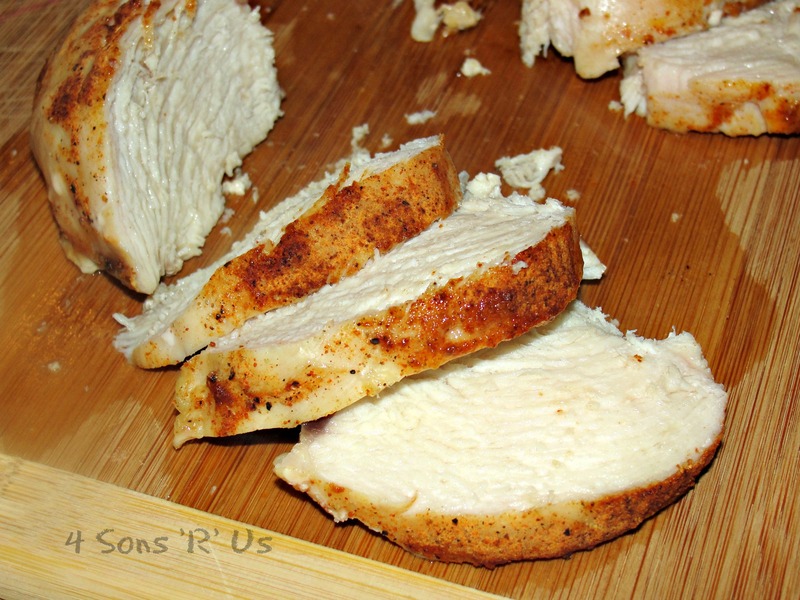 Seriously, just look at those juicy slices of perfectly cooked chicken. Have you ever heard the saying, ‘Eat your colors’? Fresh ingredients can be so vibrant, and I’m really starting to notice the burst of intense, natural flavor they add to our meals. 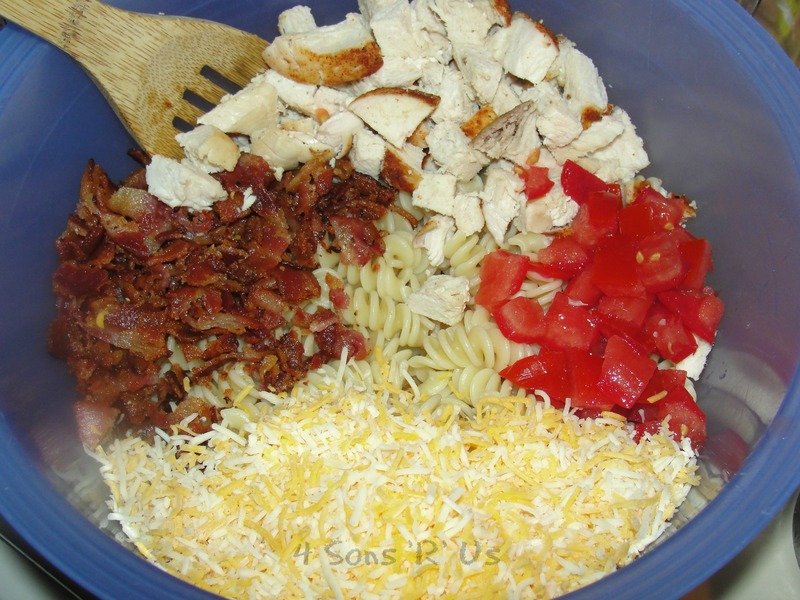 My favorite chicken, vine-ripened tomatoes, bacon, and a Mexican blend of cheeses over a bed of pasta. Oh the intensity! They all combine beautifully with just a tiny bit of help from the special sauce. Now, for the moment you’ve all been waiting for… the recipe! 1. Generously season the chicken with either taco or fajita seasoning and bake for 30 minutes, or until cooked through, at 350 degrees. 2. Allow the cooked chicken to cool slightly and then dice. 3. Cook the pasta according to the package directions. Set aside to cool. 4. Cook the bacon until it’s nice and crispy. Allow grease to drain by putting the cooked bacon on some paper towels and when cool, crumble it. 6. In a a large bowl combine all ingredients, stirring to mix everything together. That’s it! Told ya, simple. While it’s great straight away, it tastes best when allowed to chill. It’s just as good if made the night before and left to refrigerate overnight. This recipe was taken over to Fiesta Friday # 24 which is hosted every Friday by Angie on The Novice Gardener.